Artists use colors to make beautiful works of art. 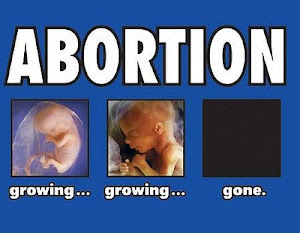 Well hopefully soon the same will happen with the Rainbow which has been engulfing the Archdiocese of San Francisco and has blinded even the clergy there. For many years the LGBT has had too much influence in the local ordinary there. 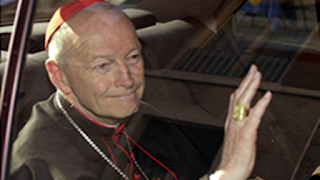 Archbishop George Niederauer, former Archbishop of the Archdiocese was too friendly to the gay agenda. He was even filmed giving Holy Communion to men dressed as nuns! Well all that is ending hopefully. Archbishop-elect Salvatore Cordileone (not to be confused with Don Vito Corleone) was appointed to take over and is taking the rainbow and painting a nice beautiful Catholic archdiocese out of the colors. He was a strong proponent of Prop 8 which made so-called "gay marriage" illegal. He is a no nonsense bishop who will clean house, so to speak. For far too long, dissident groups such as the "Rainbow Sash Movement" have used the word "Catholic" and the Church's property to conduct pro-homosexual business. 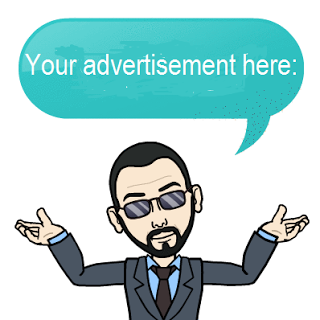 They created phony charities that pretend to assist the LGBT community but in reality is a front for change within the Catholic Church to force the Church to accept the gay lifestyle. 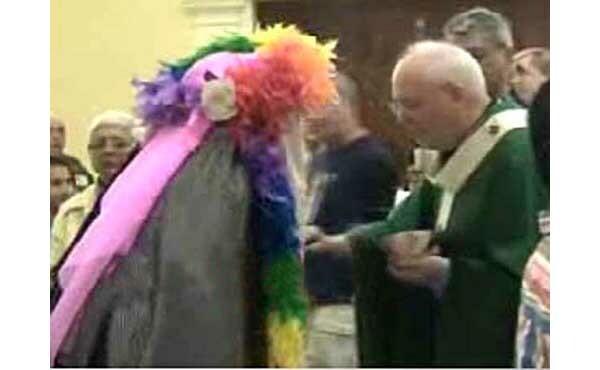 The Archdiocese had "gay pride" Masses and even blessed Pride participants! 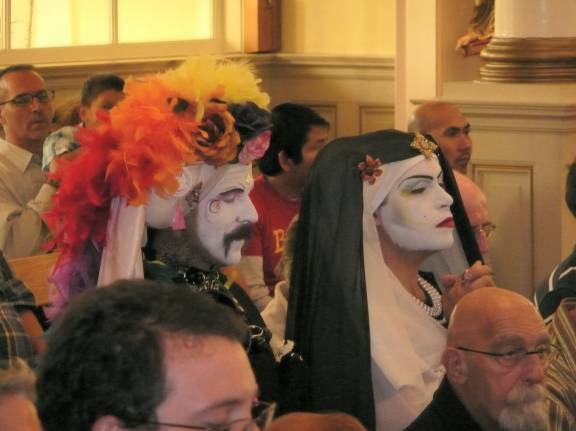 If that is not crazy enough, they allowed an "order" of drag queens to walk about dressed as religious sisters! 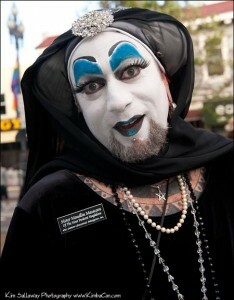 The so-called "Sisters of Perpetual Indulgence" were free to roam as if they were a legitimate religious order. Let us pray for the Archdiocese of San Francisco and for Archbishop-elect Salvatore Cordileone who will take possession of the Archdiocese on October 4, the feast day of St. Francis of Assisi and patron of the Archdiocese. St. Francis was also the saint of the Church who Pope Innocent III dreamt about as being the small man holding the Church from crumbling.